sensitivity to similarity in vibration. If a holographic image has many different holograms embedded within it, shining a laser of a specific frequency upon it will cause only those holograms made with lasers of the same frequency to stand out. That's because things with the same vibration naturally resonate and reinforce one another - just as two violin strings at the same pitch resonate with one another. This property of resonance has [also] been used to explain how each of us might interact with mysterious fields like the psi or Akashic fields... People pick up only that with which they personally "resonate." Each individual's resonant frequency, determined by their life experience, physical body, and energy body, limits what they can perceive. Biologist Rupert Sheldrake's theory of morphic resonance also depends upon similarity in vibration. Members of the same species, being "on the same wavelength," are able to tap into information that pertains uniquely to them. And while members of an entire species might be able to tune into a fairly broad spectrum of frequencies (think of Carl Jung's notion of the collective unconscious that humans supposedly tap into ), smaller, more tightly connected groups - such as members of the same family or loving couples - resonate in more focused zones of vibration; they have access to their own "private frequency." In fact, Sheldrake goes even further and suggests that morphic fields can explain how human memory operates. Instead of being stored in our brains, he suggests that memories are stored in the morphic field. Our brains then pick them up via resonance, like radios tuning to their own private stations. The existence and importance of similarity in vibration has also popped up in psi experiments. For example, individuals gifted at psychokinesis - the ability to affect physical objects with the mind - have described the experience as a feeling of resonance with those objects. [R]esearchers at PEAR found that connected couples can influence random event generators (REGs) more effectively than individuals working alone. Because of this phenomenon, Radin and Nelson decided to test for even larger field effects by using these random devices as "antennae." First they placed REGs at events where people were all focused on the same thing and therefore "vibrating" similarly-for example, at music festivals, religious events, and even at the Academy Awards. The results were as predicted; these venues did indeed cause the machines' outputs to deviate from the norm [6,7]. Then, in 1997, they decided to place REGs at fifty locations all over the world, run them continuously, and see if they could pick up on major world events. The results were astounding. Over the next ten years, Radin and Nelson studied the machines' reactions to 205 major world events and discovered that they did indeed respond to events that were intense on a global level - especially those that were tragic. An instance of collective precognition? Whereas world events less horrific than 9/11 probably evoke more varied vibratory responses in people (and therefore do not resonate and amplify each other as well), truly frightening events tend to evoke a more common, coherent response. [A] well-known illustration of this phenomenon was described by psychiatrist Carl Jung, the originator of the notion of synchronicity . One of Jung's patients was recounting her dream about a golden scarab beetle when he heard a rapping on the window. When he opened it, a rose chafer beetle - the insect most similar to a scarab in Jung's region - flew into the room. Jung quickly put two and two together. He realized that the mythological meaning of the scarab - an ancient Egyptian symbol for rebirth - was highly pertinent to his patient's problems. And this was also the reason why the insect had appeared in waking life. The phenomenon of synchronicity demonstrates a key point - the universe may not be operating like a cold, meaningless machine after all. Instead, the reality we experience each day may be flooded with fields of meaning. One field might embody the horror and violence of 9/11. Another field might be associated with a hope for rebirth. Think about it. There may be another fundamental mechanism at play in our universe besides cause and effect. Most of us think that everything that occurs in our world is due to some causal mechanism. A causes B causes C. However, synchronicity - the co-occurrence of events within the same field of meaning - may be another fundamental reason why things tend to happen. Many things in life that we think are due to cause-and-effect or mere coincidence may actually be due to synchronicity. Here's an example that occurred while I was writing this book. My husband Steve and I had long admired Rupert Sheldrake's work on morphic fields but had never met him. To us, he was a brilliant scientist living far away in England. However, in September 2008, just as I was working on the section of this book that describes his work, Steve got word that Sheldrake would be giving a talk at his research laboratory at Sun Microsystems. Now please understand; talks about things like the morphic field are not commonplace in computer research labs. In fact, Sheldrake's talk was poorly attended. But it just so happened that one of the lab's researchers had met Sheldrake in Scotland and had invited him to speak the next time he was in our area. When Steve heard about Sheldrake's visit, he asked if I could also attend, and we both received an invitation to have lunch with him the next day. Before I could even finish writing about Rupert Sheldrake, I was sitting and having lunch with him! The powerful influence of similarity in vibration has also made its way into healing. In fact, it is the very foundation of homeopathy - an alternative medical system originally developed in Germany in the early 1800s. The word "homeopathy" literally means similar (homeo) suffering (pathy), and practitioners of homeopathy choose medicines for their patients based on a principle of cure called the Law of Similars. If a substance is shown experimentally to cause a specific pattern of emotional, physical, and behavioral symptoms in healthy test subjects, then that substance can be prepared so that it can cure individuals suffering from the same pattern of symptoms. In other words, homeopathy is the science of healing based on similarity of vibration. Bring two things of like vibration together - a remedy and a patient - and the effect will be a cure of the patient's disease. These symptoms are manifestations of the vibration of coffee, and coffee imparts these qualities to those who drink it. Now, if a patient comes to a homeopath seeking help for chronic insomnia, and their insomnia is characterized by an overactive mind, excitement, acuteness of the senses, heart palpitations, and diarrhea, it is likely that the homeopath will prescribe Coffea Cruda - a remedy prepared from coffee. That's because this patient manifests the same vibrational qualities as coffee. And if the remedy is truly homeopathic to the patient - that is, if coffee's symptoms match his or her overall emotional, mental, and physical state - it has the potential to completely cure their insomnia, not just palliate it as a sleeping pill would do. Of course, the most controversial thing about homeopathy is not the Law of Similars, but the way in which homeopathic remedies are made. The process, called potentization, involves a sequence of steps in which a substance is repeatedly diluted and vigorously shaken. In fact, for most remedies, these dilutions are so extreme that they do not contain even a single molecule of the original substance! Nevertheless, homeopaths have found that the higher the dilution, the more potent a remedy can be. They believe this is possible because the energetic signature of a substance is captured by the potentization process. In other words, potentization enables the innate vibrational quality of a substance in nature to be unleashed and harnessed. It is this vibration that evokes the symptoms caused by a remedy, and it is also this vibratory signature that enables the remedy to cure a similar vibratory state in a patient. Although homeopathy has been the target of skeptics and critics since it was developed by physician Samuel Hahnemann in the early 1800s, open-minded scientists are finally beginning to get an inkling of how the remedies might be working. Recent studies have shown that the encoding of information in homeopathic dilutions is not about their chemical composition; it's more about the bonding structures between the molecules within them. Apparently, the shaking process (also called succussion) performed during homeopathic potentization is the critical step that develops these structures. In 2007, a prominent researcher in the field of structured water, Professor Rustum Roy of Pennsylvania State University, showed for the first time that extreme homeopathic dilutions are not mere water, but highly structured arrangements of water molecules. In fact, various types of instruments in Roy's laboratory were able to pick up the distinct signatures of different remedies, even at levels of dilution in which no remedy substance likely remained . Interestingly, the potentization process can be used to capture the energetic signature of any substance, not just those used to make homeopathic remedies. This has been shown repeatedly by several independent scientists in replicated studies. For example, consider the work of Jacques Benveniste, a French physician and medical researcher in the field of immunology who helped discover platelet-activating factor in 1972. Unfortunately, Benveniste's career was set upon a rocky course when a colleague encouraged him to study the phenomenon of potentization. His first paper about the subject described how antibodies of immunoglobulin E (anti-IgE) could be potentized beyond Avogadro's number (the point at which it is unlikely to find a single molecule of a substance remaining in a dilution) and still cause substance-specific effects. When Benveniste published these results in the prestigious journal Nature in 1988 , he came under a barrage of attacks that lasted for the rest of his life. But perhaps this wasn't surprising. Benveniste's work had essentially shown that any drug could be potentized and still remain effective. That means that billions of doses of any drug could be produced for pennies - information that drug companies would spend a fortune to attack and suppress. And in fact, there is evidence that a world-wide campaign to discredit homeopathy has been funded by the pharmaceutical industry for this very reason [14,15]. Despite the attacks on Benveniste and his subsequent loss of government funding in France, he continued his work and came up with even more astounding results. Because he suspected that the potentization process conveys an electromagnetic signal into the water of a dilution, he developed an apparatus that could digitally record it. He then transmitted this signal electronically - via E-mail - to a distant laboratory, and had it "replayed" into water there. Amazingly, the resulting water caused the same effects as the original substance. Benveniste eventually conducted several blinded experiments using this protocol. Ligands so dilute that no original molecule remained still retained biological activity which could be abolished by magnetic fields [1-3], suggesting the electromagnetic (EM) nature of the molecular signal. This was later confirmed by the electronic transfer to water (W) of molecular activity, either directly or after computer storage [4-7]. Here, we report its transfer via the telephone network. Ovalbumin (Ova) or W as control, was recorded (1 sec, 16 bits, 22 kHz) into a diskette in Chicago using a transducer and computer equipped with sound-card. Coded files were transferred to diskettes in DBL's computer as "attached documents" via Internet e-mail. After digital amplification they were replayed for 20 min via a transducer to 15 ml W-containing plastic tubes. Exposed W (dOva, dW), was then perfused to isolated hearts from Ova-immunized guinea-pigs. The heart operator was always blind while technical incidents revealed the identity of 4/19 files to the computer operator. Coronary flow variations were (%, mean+SEM, nb of measures): naive W (negative control), 4.9+0.3, 41; dW, 4.4+0.3, 58; dOva, 24.0+1.4, 30, p= 4.5 e -17 vs dW; Ova (0.1 µM, positive control), 28.9+3.7,19, ns vs dOva. EM radiation under 22 kHz that can be digitized, transferred long distances and replayed to W, which then mimicks the activity of the source-molecule. This implies novel strategies in chemistry, biology and medicine. Benveniste et al., FASEB J. 1996, 10:A1479. Supported by Association Science Innovante. This water did indeed cause antigen-specific effects on isolated guinea pig hearts. I saw Benveniste present this paper at Stanford University Medical School in 1999. The large lecture hall was standing-room only, but the audience was politely incredulous. Of course, Benveniste's new results in what he called "digital biology" were even more mind-boggling and threatening than his original paper in Nature. Despite the fact that other initially-skeptical scientists have successfully replicated his work [17,18], acceptance of Benveniste's work remains for the future. Perhaps, with the growth of a new consciousness in the scientific community, that future will arrive sooner rather than later. The power of potentization is indeed one of the landmark discoveries of Homeopathy. It provides us with a method for capturing the energetic signature of any substance in nature. But perhaps even more significant is homeopathy's therapeutic principle, the Law of Similars - because it says something specific about how fields of meaning operate and interact. There may even be a direct relationship between the Law of Similars and synchronicity. The late psychiatrist Edward Whitmont was a student of Carl Jung and eventually became a homeopath. In his book, Psyche and Substance, he speaks at length about the relationship between homeopathy and synchronicity . Psychiatrists have long known that patients sometimes alternate between specific physical symptoms and specific mental or emotional symptoms. Homeopathy and other holistic medical systems have long recognized that disease is a body-mind affair. That is why each patient manifests a unique pattern of mental, emotional, and physical symptoms - a pattern that is an outward representation of his or her vibratory state. As Whitmont points out, each homeopathic remedy is also associated with a vibration... The Law of Similars then states that bringing together the vibratory pattern of a patient and the similar vibratory pattern of a remedy can be curative. The reason this is true, Whitmont suggests, is synchronicity... Homeopathic remedies are curative because they share the same synchronistic field as a disease and therefore can replace it within a patient's body. Hahnemann proposed essentially the same explanation in the early 1800s for the operation of his remedies upon what he called the dynamis or vital force - the energetic etheric field that encompasses the physical body. The fact that homeopathy has worked for millions of people for 200 years says a lot about the power of the Law of Similars. But it also says something about fields of meaning and their relationship to us in disease and in health. Just as the dream of the golden scarab said something meaningful about the psychological state of Jung's patient, holistic practitioners recognize that each person's unique manifestation of disease is not merely the result of genetic inheritance or the accidents of life - it is a reflection of a field of meaning vibrating at the core of their being. A couple of other phenomena witnessed in the homeopathic world are worth mentioning. Because they border on the paranormal, they are rarely openly discussed. Both tend to occur during provings - the homeopathic drug trials. The object of these trials is to see what pattern of symptoms a substance will create in healthy volunteers. Today's provings are conducted using modern techniques like double-blinding and placebo controls. Thus, some test subjects (called provers) are given placebo while others are given the actual remedy. Since the trials are also blinded, neither the provers nor their supervisors, who collect symptom information, know who has been given a real remedy or a placebo, nor the identity of the substance being tested. Nevertheless, the following kinds of phenomena have been observed during many trials. First, it has been noticed that the moment a prover forms the intention to participate in a proving, they often begin to experience symptoms that are later found to be characteristic of the remedy - long before the trial actually begins. While this doesn't happen to all provers, it happens frequently enough to be noteworthy. By simply intending to join a remedy trial, a prover may enter into the field of meaning of the remedy substance. Just as paranormal phenomena often defy the normal constraints of time and space, the fields of meaning created by homeopathic remedies may as well. Consider, for example, the blind proving of Androctonus conducted in 1985. Notice how evocative many of these symptoms are of scorpions - violent, cruel, and antisocial. Indeed, this remedy has been effective in treating patients with serious mental illness. In my book about homeopathy, Impossible Cure, I describe the case of one man who, thanks to Androctonus, experienced a cure of severe allergies and headaches, as well as a significant lessening of arthritis, high blood pressure, and diabetes. The man was an avid hunter, obsessed with guns and knives. He told his homeopath how he would wait until his prey came to him and how he could sense and communicate with them. Interestingly, scorpions also let their prey come to them, and they can accurately detect their victim's location by sensing their vibrations. After taking Androctonus, this hunter was not only alleviated of his physical problems, but he also became much less interested in his extensive collection of weapons . Think of it. The process of potentization may provide us with a method for accessing the very essence of the natural world. Just as Merlin the Magician showed the future King Arthur what it was like to be a fish or bird, a prover who takes a potentized remedy may learn what it's like to be a scorpion, a dolphin, a flower, or even a mineral! Our entire universe may be intricately and intimately interconnected through vibration and meaning. A. Lansky. 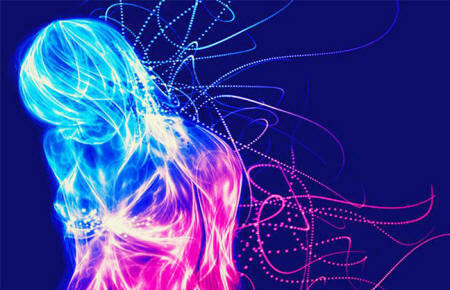 Active Consciousness: Awakening the Power Within. Portola Valley, California: R.L.Ranch Press (2011), www.activeconsciousness.com. E. Laszlo. Science and the Akashic Field: An Integral Theory of Everything. Rochester, Vermont: Inner Traditions, p. 47-53 (2004). E. Laszlo. Science and the Akashic Field: An Integral Theory of Everything. Rochester, Vermont: Inner Traditions (2004). R. Sheldrake. The Presence of the Past: Morphic Resonance and the Habits of Nature. Rochester, Vermont: Park Street Press, p. 168 (1988). R.D. Nelson, et al. "Field REG Anomalies in Group Situations." Journal of Scientific Exploration, 10(1), pp. 111-141 (1996). R.D. Nelson, et al. "Field REG II: Consciousness Field Effects: Replications and Explorations." Journal of Scientific Exploration, 12(3), pp. 425-454 (1998). R.D. Nelson, et al. "Correlations of Continuous Random Data with Major World Events." Foundations of Physics Letters. 15(6), pp. 537-550 (2002). D.I. Radin. "Exploring Relationships Between Random Physical Events and Mass Human Attention: Asking For Whom the Bell Tolls." Journal of Scientific Exploration. 16(4), pp. 533-547 (2002). C. Jung. Jung on Synchronicity and the Paranormal: Key Readings. London: Routledge (1977). R. Rucker. The Fourth Dimension: A Guided Tour of Higher Universes. Boston: Houghton Mifflin Company, p. 186 (1984). M.L. Rao, R. Roy, I.R. Bell, and R. Hoover, "The Deﬁning Role of Structure (Including Epitaxy) in the Plausibility of Homeopathy." Homeopathy, 96, pp. 175-182 (2007). E. Davenas, et al. "Human Basophil Degranulation Triggered by Very Dilute Antiserum Against IgE." Nature, Volume 333, Number 6176, pp. 816-181 (June 1988). H. Stevenson. "Quackbusters are Busted!" (July 2010). See: See: http://www.gaia-health.com/articles251/000277-quackbusters-are-busted.shtml. A. Lansky. "Could This Forbidden Medicine Eliminate the Need for Drugs? Or, Why the Skeptics Love to Hate Homeopathy." Mercola Newsletter (December 22, 2009). See: http://articles.mercola.com/sites/articles/archive/2009/12/22/Why-Skeptics-Love-to-Hate-Homeopathy.aspx. J. Aissa, et al. "Transatlantic Transfer of Digitized Antigen Signal by Telephone Link." Journal of Allergy and Clinical Immunology, 99: S175 (1997). V. Brown and M. Ennis. "Flow-Cytometric Analysis of Basophil Activation: Inhibition by Histamine at Conventional and Homeopathic Concentrations." Inflammation Research, 50, Supplement (2), S47-S48 (2001). P. Belon, et al. "Histamine Dilutions Modulate Basophil Activation." Inflammation Research, 53, pp. 181-188 (2004). L. Montagnier, et al.,"Electromagnetic Signals Are Produced by Aqueous Nanostructures Derived from Bacterial DNA Sequences." Interdiscip Sci Comput Life Sci, 1: 81-90 (2009). E.C. Whitmont. Psyche and Substance. Berkeley, California: North Atlantic Books and Homeopathic Educational Services (1991). R. Vermeulen. Synoptic Materia Medica 2. Haarlem, The Netherlands: Merlijn Publishers (1996). Lansky, Amy L. Impossible Cure: The Promise of Homeopathy. Portola Valley, California: R.L.Ranch Press, pp. 127-129 (2003), www.impossiblecure.com.